The Chinese lunar calendar has 12 zodiac named after 12 animals. Depends who you asked, this 2015 is the Year of the Goat, well... Sheep, Lamb or Ram. As mentioned yesterday, in Chinese (the language), it only specify the broader animal group sheep-goat-ram and did not specified any particular type. As a result, different people would interpret this differently and all of them are correct! 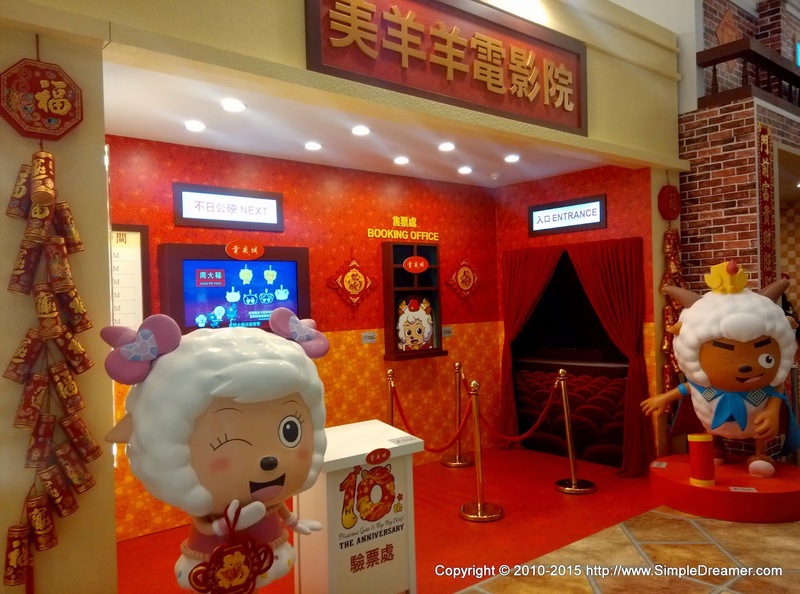 Maritime Square at Tsing Yi definitely thinks that it is the Year of the Goat. 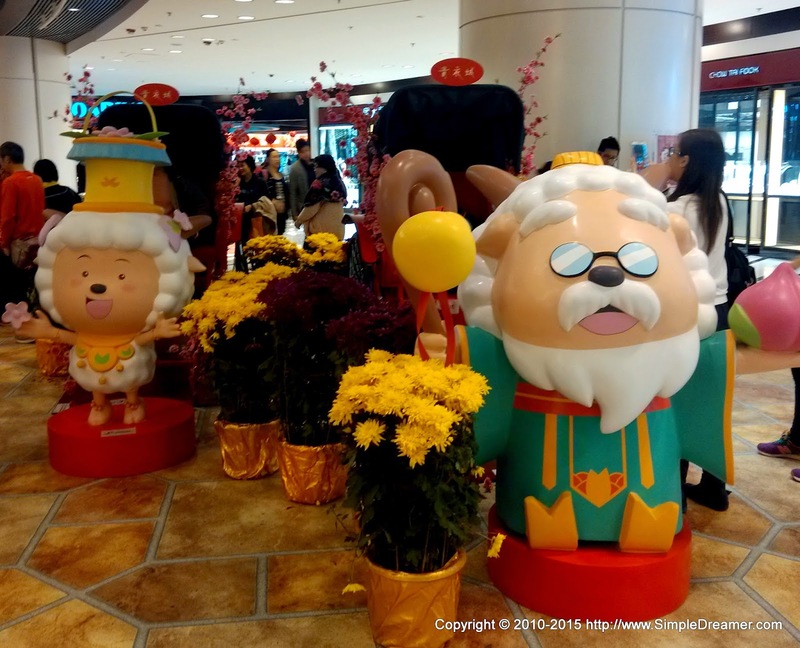 They have invited a Hong Kong designed cartoon character that became very, very, very famous in mainland China, Xi Yang Yang, or Pleasant Goat in English. 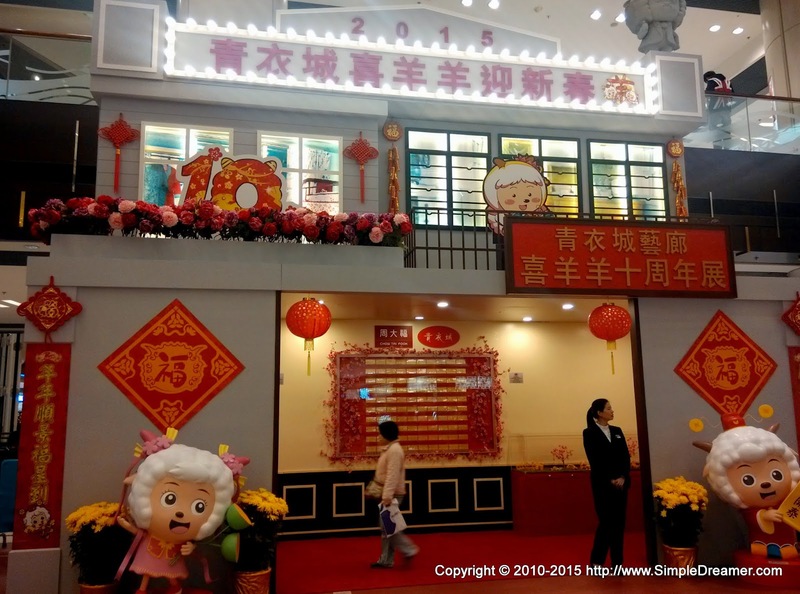 Xiyangyang the cartoon series have been very famous in China in he past decade. The number of merchandise sold was amazing, despite there were lots of pirated goods. 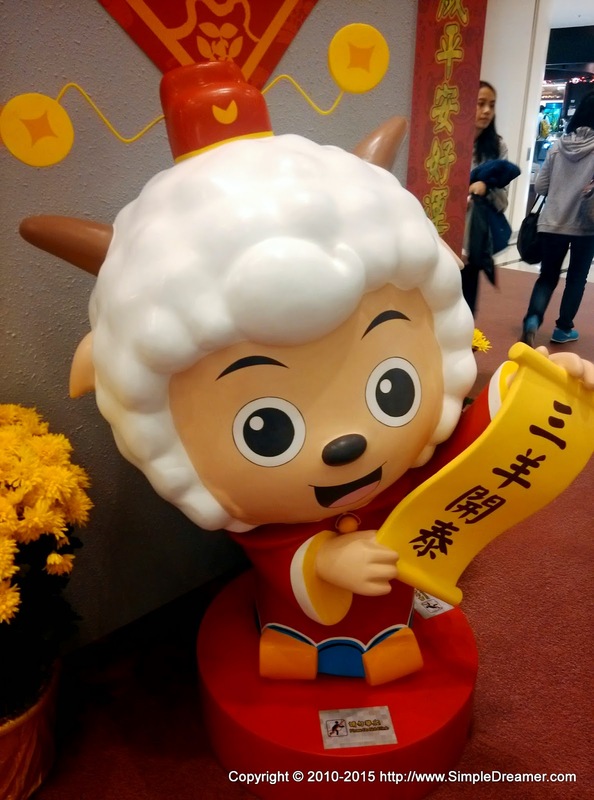 Although the Pleasant Goat has loose it popularity to "Let it Go" in recently year, it still has plenty of fans from all ages. Perhaps it can make its come back in the New Year of the Goat. 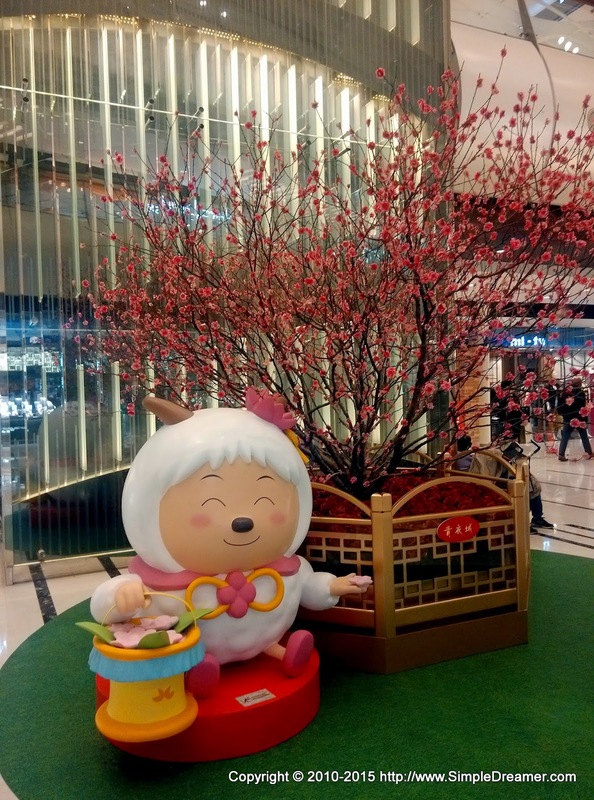 Funny enough, Maritime Square just let go of Frozen Elsa after Christmas and brought in xiyangyang the Pleasant Goat for the Chinese New Year that follows.